This being said, what with the web world continuously changing, the search engine algorithms change too. This is where the word ‘adapt’ comes in. Along with the search engines, Best SEO Strategies for Online Retailer need to adapt too in order to survive and prosper. To be able to get the best rankings they need to be up-to-date with all the appropriate practices. Here we have given you 6 Best SEO Strategies for Online Retailer should be aware of and should adopt in order to rank their website well in this year of 2017. The very first step in a successful e-commerce SEO is exhaustive keyword research. If you spend time researching the keywords you would be able to spot what it is that your customers are looking for and how you stand against your competitors. Your keywords need to be relevant to your product and have a match search volume in Google’s AdWords keyword tool. It’s possible that you find your keyword to be too competitive in your specific niche. In that case, long-tail keywords would be a better idea. These are generally three or four worded phrases whereas primary keywords are generally one to two words. 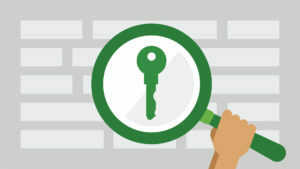 There are lot of keyword research tools available. SEM, Google keyword planner etc are my choice keyword research tools. Contrary to what some might think, Meta tags are still an important part of SEO. Try typing out a keyword in a search engine. When that page title comes up you will be able to see how the keyword is reflected in it. The page title is considered as a relevance signal for that particular keyword by Google. The same logic applies for the page description as well. However, if you are thinking in the terms of the keyword title tag, you need not bother. Google has apparently made it known that that tag isn’t important. If you can use the meta tags more effectively, your pages and descriptions will be easily identified. Arrange your meta tags to grab maximum information about your pages. Use the meta tags to help search engine bots to easily crawl and understand about your website pages. 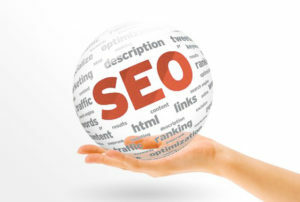 Good and high quality content is the chief idea behind SEO. Without good relevant content the entire process would be a total waste. It not only gives your keywords ranking but also would generate considerable search traffic. Google always gives importance to good content. The content needs to be useful and helpful to the customer and you would then be considered as an authority in your niche. Content is familiarly known as the king in SEO. Using fresh content which spreads good value, information, ideas, tips, guidelines will always shine among the readers. Online retailers can use contents which says tips and guidelines about their products. The contents used in online publications like blog posts, social media posts, articles should be relevant, fresh, quality and unique. Come to think of it back links are equally important to the content. Your goal should not be having the max number of links but rather you should concentrate on qualitative links which points back to the website. There are several ways by which you can build links. You could try guest-posting on other sites or email your content to other site owners who are relevant in your field. That way you can manage a back link from them. This is why you need excellent content and not just plain product pages. Most people would readily link back to great content rather than plain product pages. Good graphical content would also pull in news websites or bloggers. Building a huge number of back link is not advisable now a days. Because Google strictly valuates and counts the relevant links for your ranking improvements. Irrelevant links from less quality websites may effect as harmful. 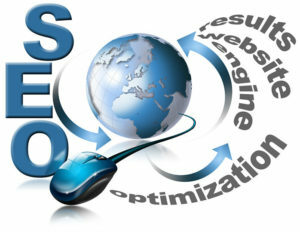 Online retailers and shopping website owners can publish linkable articles and stuffs in their content marketing areas. So naturally website will get more back links from quality websites. An online retailer’s site would not be complete with no social media. The signals put out by social media can impact your SEO strongly. When you have lots of social signals, it basically tells Google that your website or brand is found valuable by people. E-commerce sites must have social buttons on their pages, posts as well as homepage and connect to sites like Facebook, Twitter, Pinterest and so on. Yes, content is extremely important. But pictures are equally important. Consumers not only look for products but also look at their images when the web results crop up. If your images are flawed or not visually attractive they might just move on, even if the content or descriptions are very qualitative. Hence, what matters is that the images are of very high quality and the file names have the relevant keywords. Only then would they rank high in search engines. This would automatically bring in more traffic as the image would bring customers to your store. All the best SEO strategies for online retailer six tactics play an important part in planning your SEO. However, along with these you also need to research your competitors. Find out what are their strategies as far as On-page optimization, off-page optimization or social media goes. You might just find that you are probably doing the same things. In that case, you need to turn it up a notch; only then would you be able to move forward in the race. So through these best strategies we can improve the site performance and page ranking, can also visit seokochi for more information. If you like the tips and guidelines shared in this post on best seo strategies for online retailers, please feel free to share your suggestions via comments. You can also share this blog post in your social media profiles so your followers can also read this article.